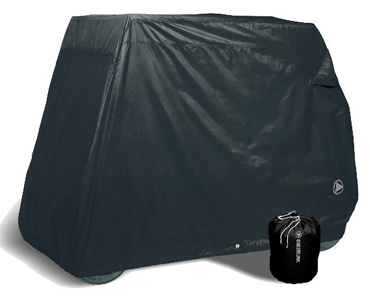 Greenline Covers offer a full line of golf cart covers and enclosures. Greenline storage covers are available for 2 and 4 passenger carts, and they may also be used on carts with flip down seats. These quality covers are available in numerous colors and styles to suit every taste. Additionally, there are cover patterns designed specifically for Yamaha and Club Car models to ensure a proper fit no matter which cover you choose. 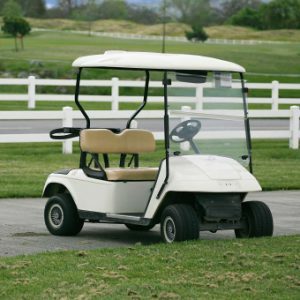 Greenline Cart Enclosures are available as universal enclosures, but we also offer enclosures specifically designed for Yamaha and Club Car models. Greenline covers are available in a variety of colors and are made to withstand the rigors of daily use. Superior design and quality craftsmanship make Greenline a preferred brand in the market. Greenline is made by Eevelle, a cover company established in San Diego California in 1994. As one of the largest manufacturers of golf cart cover products in the US, Eevelle offers the fastest service in the industry with most orders shipping same day or next day. Our corporate philosophy focuses on offering products that enhance the user’s recreational protection and outdoor experience. We strive to provide exceptional value, and our service support system is designed to consistently exceed customer expectations. Greenline is a brand of Eevelle Inc.